Medical researchers have successfully injected a new type of stem cell into the brain of a patient living with Parkinson’s disease, in what they claim to be the first clinical trial of its kind in the world. The ground-breaking study, undertaken by researchers at The Royal Melbourne Hospital (RMH) in Australia, is in phase one and involved inserting neural stem cells derived from unfertilised eggs into the brains of 12 patients with moderate to severe Parkinson’s. The first patient to undergo the intricate five-hour surgery was a 64-year-old man from Victoria, Australia. Dr Andrew Evans, the study’s lead researcher and neurologist, warned that it would take a year until the full results are known. “The first patient’s operation was a success, however we won’t know for 12 months the effects of the stem cell implants and if we are on the verge of a new treatment for Parkinson’s,” Dr Evans said. The research team hopes that over the next year the newly introduced stem cells will transform into brain cells that can boost the level of dopamine. “The first phase is critical for us to understand the right amount of neural stem cells required to be injected into the brain. The three different doses range from 30,000,000 to 70,000,000 neural cells and of those, only a very small percentage will become dopamine. “Dopamine is a hormone that transmits information between brain cells and is one of the most critical transmitters in the brain that is lost with Parkinson’s disease,” he added. Mr Girish Nair, the neurosurgeon who performed the procedure involving drilling two holes in the skull, said precision and timing was key during the complicated surgery. “The stem cells entered the brain through two 1.5cm holes in the skull and we targeted 14 sites on the brain and each injection had to be spaced four minutes apart,” Mr Nair said. 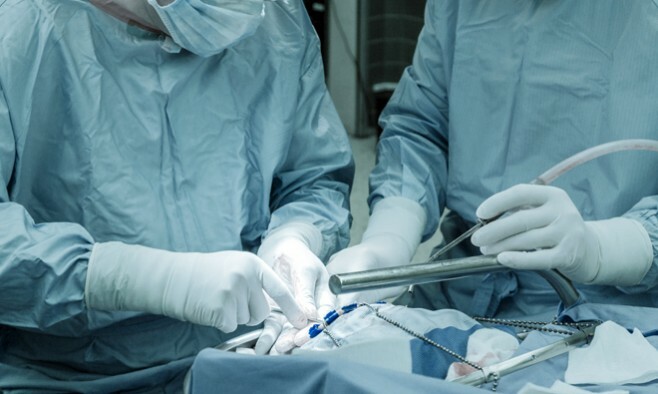 “Following transplantation, all 12 patients will be monitored for 12 months at specified intervals, to evaluate the safety and the effects of the neural stem cells. PET scans will also be performed at various times during the study to see if the transplanted stems cells have taken effect. The transplant of stem cells in the remaining 11 patients will be completed in 2017 with the results expected in 2019. Could stem cells be harvested from, say, the patient’s own bone marrow and thereby avoid rejection issues, or are egg-derived stem cells of low immunogenicity and/or the deep brain a low reactivity site anyway? 1.5cm holes is huge! How big are the holes when performing DBS surgery? Is there not a less invasive method to transplant these cells? Why not use iPS cells generated from the patients own skin cells? What are the target areas: Putamen, Substantia Nigra, Basal ganglia? Any risk of developing teratomas? Any need for immunosuppressive? Thank you! What would you do if you had one hour more of ‘on time’ each day?